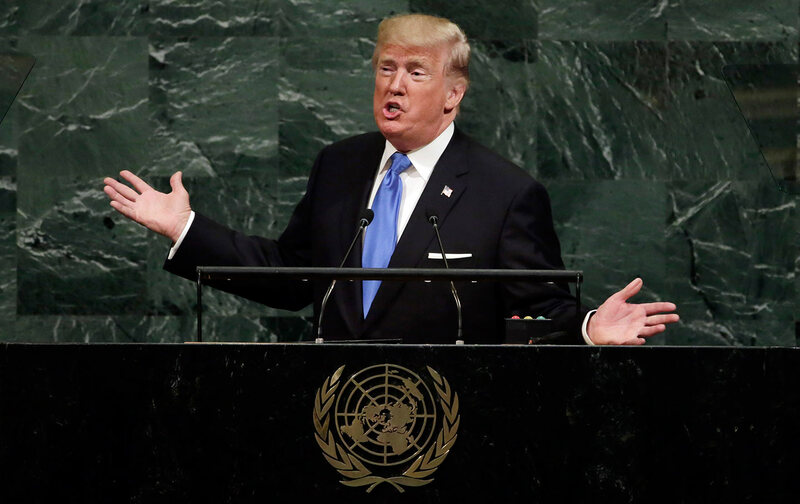 In his first address to the United Nations, President Donald Trump gave the international community a message consistent with much of his prior rhetoric on international affairs. The President declared that the United Nations, “… was based on the vision that diverse nations could cooperate to protect their sovereignty, preserve their security, and promote their prosperity”, and these three pillars resonated strongly through his remarks. 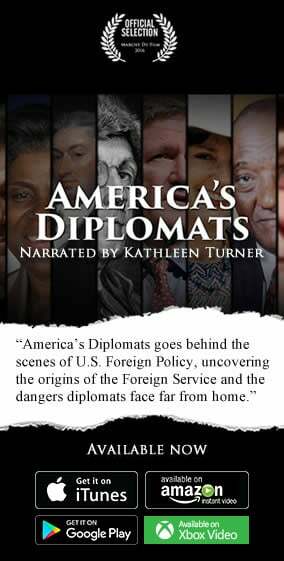 President Trump attempted to walk the tightrope between promoting the sovereignty of all nations while denouncing the behavior of “rogue nations” both domestically and in their international engagements. In a way that seems standard to the President’s domestic observers (but was likely unfamiliar to a body like the United Nations), Mr. Trump simultaneously highlighted the importance of the sovereign rights of each nation while calling for unified global action against nations who behave in ways that cause turmoil and uncertainty for the global community. This call to collective action is grounded in the belief that well intentioned nations in the world would find it in their individual interest to combat the advances of bad actors. President Trump’s continued promise to put America first was followed by the assumption that the leaders of other nations will, and should, follow the same approach on behalf of their citizens. To further this argument, the President highlighted remarks made by President Truman, who argued that the United Nations draws its capacity from the strength of individual members who are willing to pool their strength collectively for the betterment of all. While this approach seems common sense, it is only useful to the extent that other nations share the President’s subjective approach to right action and views on what constitutes good governance. President Trump was unwavering in his assessment that the primary threat to global security, “… is a small group of rogue regimes that violate every principle on which the United Nations is based.” The President called for international action against three bad actors in particular- North Korea, Iran, and Venezuela, noting that the governments in each of those three nations fostered horrible outcomes both for their own people and for the international community. In a similar way, President Trump slammed Iran for, “speak(ing) openly of mass murder, vowing death to America, (and) destruction of Israel.” He also criticized the Iranian regime as a, “corrupt dictatorship behind the false guise of democracy” that sponsored terror groups that destabilize the Middle East in particular and the entire world more generally. After arguing the case that Iran is a bad actor and destabilizing force in the world, Mr. Trump castigated the Iran nuclear deal as, “an embarrassment to the United States”, and insisted that we would be hearing about the deal’s fate under his administration in short order. While the case for collective action appears strong in the instance of North Korea and Iran, the call for the restoration of democracy in Venezuela seems to be at odds with the President’s message of sovereignty. Make no doubt- socialism is a failed ideology, and President Trump rightly targeted the economic system as one that has spread poverty and oppression everywhere that it has been implemented. Mr. Trump also accurately suggested that it is in large part a consequence of this attempt to collectivize Venezuela’s economy that the nation’s democracy has collapsed into an increasingly dictatorial state of affairs. Those arguments are separate, however, from the notion that Venezuela is a threat to the international order as a consequence of its economic mismanagement. To the extent that Venezuela made a genuine democratic choice to go down the path of socialism by electing Hugo Chavez to the nation’s top office in 1999, it seems suspect to violate that nation’s sovereignty on the grounds that such a decision has proven to have devastating consequences for the Venezuelan people. While President Trump held back from again mentioning a military option in the Latin American nation, he did mark a return to full democracy as a key objective for the United Nations to pursue. Depending on the form that this objective takes, it could prove to be one of the more troubling policies put forth by the Trump administration. In addition to his comments on the immediate state of international affairs, President Trump commented on the state of the United Nations as an institution. Against the backdrop of praise for the body’s potential to do good in the world, Mr. Trump highlighted that, “… the United Nations must reform if it is to be an effective partner in confronting threats to sovereignty, security, and prosperity”, and that, “too often the focus of (the United Nations) has not been on results, but on bureaucracy and process.” On top of these reforms, the President noted that, “The United States is one out of 193 countries in the United Nations, and yet we pay 22% of the entire budget”, and that as a consequence of the United Nations’ failures on some of President Trump’s ambitions, the United States is getting out far less than it puts into the international body. It is also worth noting that despite the strong rhetoric directed at some trouble makers, Trump refused to offer the same sort of harsh commentary towards China and Russia for their controversial foreign policies. The President only mentioned those two nations on a single occasion, when he expressed disappointment at Russian territorial expansion into Ukraine and China’s expansionism in the South China Sea. Along this same line of reasoning, Mr. Trump was quick to point to humanitarian failings by America’s rivals while refusing to extend that argument to Saudi Arabia and other American allies that have authoritarian governments with abysmal human rights records. This cognitive dissidence is troubling, especially in light of the President’s approach to collective action by sovereign mechanisms. Taken as a whole, the value of President Trump’s speech at the United Nations is dependent on the extent to which other nations find themselves in agreement with the President’s preferred outcomes to today’s global security challenges. Mr. Trump called for collective action against rogue regimes, yet he highlighted the importance of each individual nation’s autonomy and sovereignty in a way that his recent predecessors would not have dared to endorse. This unique balance is, then, reliant on President Trump’s ability to bring other world leaders to his perspective- it will find success or failure on his ability to make a truly good deal for the American people on the world stage. “Our respect for sovereignty is also a call to action”, President Trump said towards the end of his remarks. That claim is uniquely capable of summarizing Mr. Trumps comments to the General Assembly, and the extent to which that assumption holds will play a substantial role in the future of the Trump Foreign policy.